Botox or Dysport is a brand name of a toxin produced by the bacterium Clostridium botulinum. The FDA approved the usage of botox in the late 1980s for blepharospasm and strabismus. Later, wrinkles and facial creases have been successfully treated by injecting botox. In April 2002, Botox gained FDA approval for treatment of moderate-to-severe frown lines between the eyebrows - called glabellar lines. At present, botox has been widely used for other aesthetic indication such as reducing hyperhidrosis, reshaping jaw line and calf muscle. How Does Botox Work ? Botox blocks signals from the nerves to the muscles. The injected muscle stops its function temporary, which can soften the wrinkles. 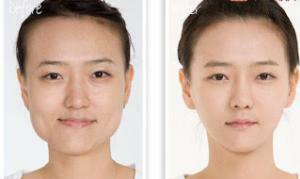 As a result, botox works for mainly dynamic wrinkles. 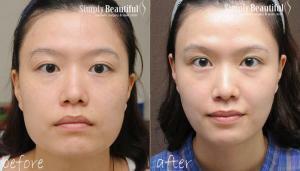 How Is a Botox Procedure Performed ? Getting Botox takes only a few minutes and no anesthesia is required. Botox is injected with a fine needle into specific muscles with only minor discomfort. It generally takes three to seven days to take full effect and it is best to avoid alcohol at least one week prior to treatment. To prevent bruising, anti-inflammatory medications and vitamin E should be stopped one week prior to the treatment. How Long Does a Botox Injection Last ? The effects from Botox will usually last four to six months. When muscle action gradually returns, the lines and wrinkles begin to re-appear and wrinkles need to be re-treated. The lines and wrinkles often appear less severe with time because the muscles are being trained to relax. 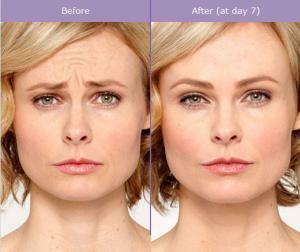 What Are the Side Effects of Botox ? 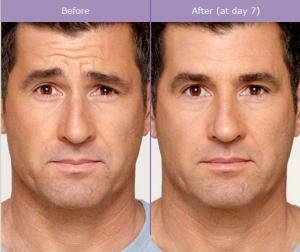 Temporary bruising is the most common side effect of Botox. Headaches can occur, but this is uncommon. In the rare case, patients may develop eyelid drooping which usually resolves in a week. This can be prevented by avoiding hot massage on the injected area. Who Should Not Receive Botox ? Patients who are pregnant, breastfeeding or have a neurological disease should not use Botox. Since Botox doesn't work for all wrinkles, a consultation with a doctor is recommended.